anteromedial rotatory instability (AMRI) results from an injury that includes both the medial collateral ligament (MCL) and the posterior oblique ligament (POL). POL is the most commonly injured structure. may include sprains, partial tears, and complete tears and are best visualized on axial and coronal MR images. 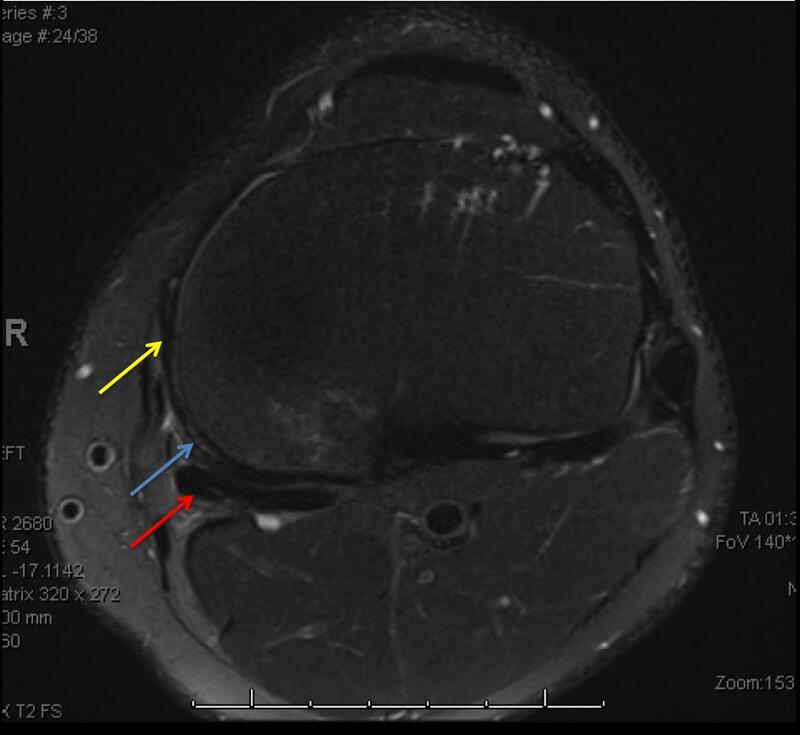 POL injury and disruption of the semimembranosus and peripheral meniscal detachment. encompasses the contents of the Posteromedial Corner (PMC) of the knee. posterior horn of the medial meniscus. superficial and deep portions of the MCL occupy the middle third of the medial side and are NOT typically considered part of the PMC. patients will typically describe a valgus force to the affected knee, most commonly occurring during athletic activity. combined external rotation and valgus forces are likely to result in injury to the POL and other components of the PMC. subjective medial instability following a valgus mechanism of injury. valgus stress testing should be performed at 0 and 30 degrees of knee flexion to assess the integrity of the MCL. anteromedial rotatory instability (AMRI) on physical exam is the hallmark of PMC injury. tested by applying a valgus stress at 30 degrees of knee flexion while the foot is concomitantly externally rotated. a positive test occurs with medial joint space gapping and anterior subluxation of the medial tibial plateau relative to the femur. the positive exam correlates with a combined PMC and MCL injury. performed by flexing the knee to 90 degrees while externally rotating the foot 10-15 degrees and applying an anterior force to the knee. important to differentiate isolated MCL injury from AMRI, by assessing for valgus laxity associated with anterior rotatory subluxation of medial tibial plateau on the medial femoral condyle with the AMRI pattern. 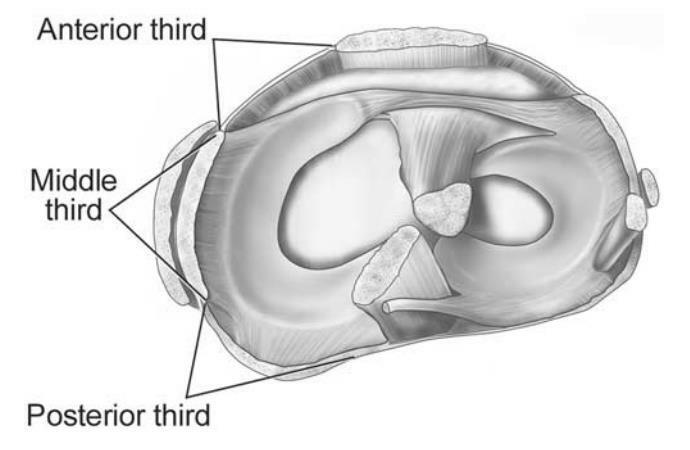 an anteromedial longitudinal incision beginning 4 centimeters medial to the patella and extending 8 centimeters distal to the joint line is utilized to expose both the femoral the distal tibial attachment sites of the superficial MCL. next, a reconstruction tunnel for the central arm of the POL is then placed just anterior to the direct arm attachment of the semimembranosus tendon. 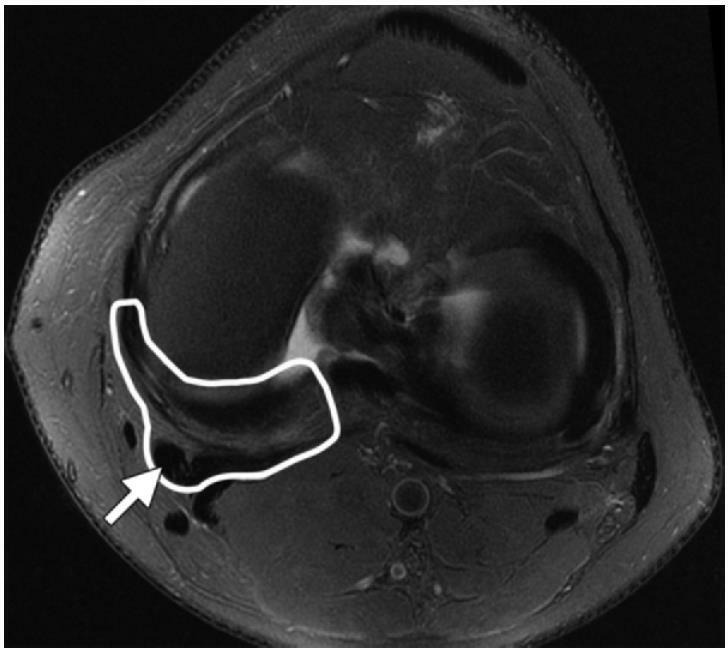 superficial MCL tunnel is placed slightly proximal and anterior to the medial epicondyle. the femoral ends of the grafts are first fixed with interference screws. · Surgical repair can be performed for acute or avulsion-type injuries. § An anteromedial longitudinal incision beginning 4 centimeters medial to the patella and extending 8 centimeters distal to the joint line is utilized to expose both the femoral the distal tibial attachment sites of the superficial MCL. 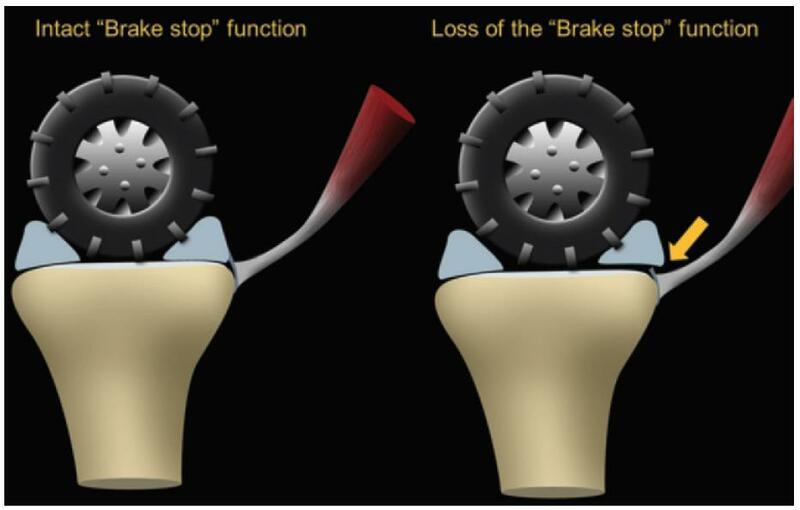 · First, a reconstruction tunnel is created for the superficial MCL’s distal insertion. 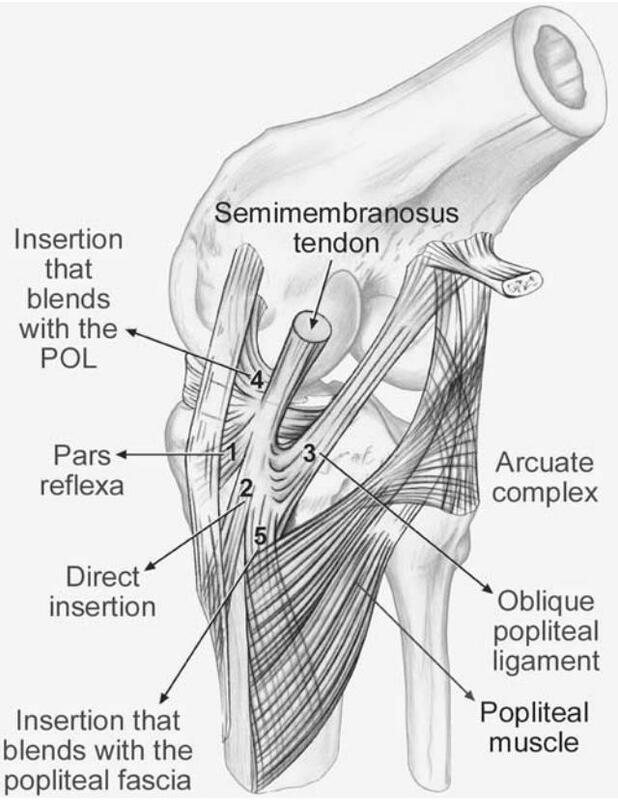 · Next, a reconstruction tunnel for the central arm of the POL is then placed just anterior to the direct arm attachment of the semimembranosus tendon. 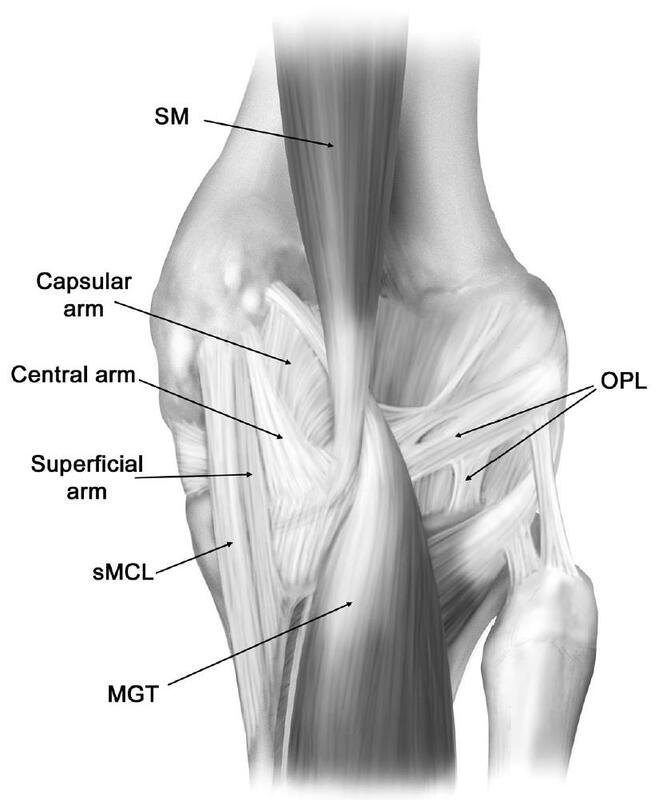 · superficial MCL tunnel is placed slightly proximal and anterior to the medial epicondyle. § The femoral ends of the grafts are first fixed with interference screws.